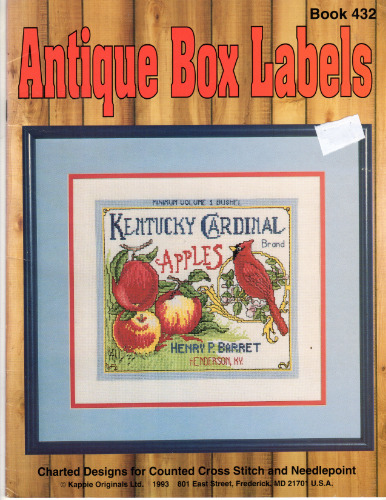 Kappie Originals Antique Box Labels counted Cross Stitch and needlepoint Pattern booklet. Mark Brockman. Kentucky Cardinal Apples, Oriole Oranges, Fairbanks Fairy Soap, Emperor Grapes, Hartshorn's Root Beer. Appears new. Price tag on cover.